I can’t thank you guys enough-Occupational Therapy has changed our lives and our son’s life so much for the better. He has come so far-best decision we have made for him, to bring him here! 10 years ago today I was diagnosed …Although this is something I was born with we did not find out what it meant until I was seven years old. I was not able to walk until I was almost three years old. Due to my condition there are many things that I struggle with. For example, spelling, balance, reading, and seeing are all very challenging for me. I have a headache almost every day. And, I can’t drive a car. But this day isn’t about my constant struggle. To me this day is about what I can do. This day is about celebrating the people who have helped me become the person I am. And for all the people who are told they are never going to be able to do something and to give up on their dreams. There are so many people who have helped me get to where I am today - getting ready to go to college, acting, dancing and directing. First of all, Rosa Obregon, OTR/L , the most amazing and loving occupational therapist in the world - I don’t know how I could ever repay you. You taught me how to function as a person and helped me to live the best life I could. You helped me with my balance, my walking, my self-esteem and got me to the doctor willing to look further and dig deeper to help me when I was a 7-year old who could no longer live in constant pain...And finally Mommy and Daddy, thank you so much for everything you have sacrificed to help me become the person I am. For driving me to daily doctor appointments; for helping me walk and talk; for reading to me when my eyes can’t work any harder. I’m sitting here at a loss for words because I don’t know how to finish writing this. There are no words to describe how much I thank you and how much I love you! Rosie, What can we say – we love you! You have been an amazing help to our daughter and our family. We cannot even express how grateful we are to have found you. Rosie, I cannot believe this day has come. When I first came to you with Connor who was hardly talking, biting everyone, not tolerating any loud noises, toe walking and lacking motor planning of any kind…I was scared and lost. From the first day to now years later, you have continued to guide, support and love our family. Your clinic has been a constant haven of hope, I am so proud of how far Connor has come and it is greatly because of you. We’re all so thankful for you. Keep doing what you do and changing the lives of families. We’ll keep in touch. My husband and I have struggled to understand my sons’ needs. A lot was explained to us at Focus On Kids Too and the pieces of the puzzle have come together. We have seen definite changes in our son ever since he started occupational therapy and received sensory integration treatment. We are so grateful to you Rosie and your wonderful staff. You have changed our lives, and I don't know where we would be without you!! Thank you for your hardwork, dedication, commitment and love. We will NEVER forget you!! We are so Grateful. We are thankful to Rosie and Focus on Kids Too for letting our son be part of this magical practice as part of his Mitzvah volunteer efforts. Every Saturday, it was a pleasure for our son to join you. We are thankful for giving him this unique opportunity to make a difference in the life of a child. When my son first came to see Rosie, he was depressed, full of anxiety, wrestling with sensory issues, and flailing in school. After just a few months he was literally transformed into a happy, talkative boy. He overcame his fear of swallowing pills, increased his strength and motor skills, and is learning to deal with his anger in new ways. All of this has also resulted in his increased self esteem. Josh loves going to therapy sessions, and all of the therapists are creative, professional and great fun for the children! I can't imagine finding a more excellent group then Focus on Kids Too. I would highly recommend them to anyone who's child is struggling with sensory processing issues or ADHD or anxiety (or all 3 like us!). We have renewed hope in Josh's capabilities! Being Thankful. With the Thanksgiving season upon us, I wanted to share something that I am truly thankful for: Rosie and the entire team at Focus on Kids Too. We were lost and did not know what to do. Our 5-year-old son had been kicked out of school, was not able to function on the same level as his peers, had significant issues with motor control and coordination, and was having excessive frustration due to some of his limitations. The medical community was not helping. The school system was not helping. We really did not know what we were going to do. There were no specialists in our area that had a handle on what was wrong or what to do about it. Then, we found Rosie and Focus on Kids Too. She was 180 miles from where we live, but we decided it was worth a shot. Within minutes of meeting and evaluating our son, Rosie could tell us what the problem was and how we were going to address it. She made no promises, but she gave us some hope. Her expertise and insight are divine gifts, and God sent us Rosie to answer our prayers. Sure, we drive a considerable distance to see Rosie and get our son the help he needs and deserves. No, it is not always easy or convenient, but we wouldn't trade Rosie and her team for a dozen therapists closer to us. Rosie has also taken the time to educate and train us as well. Some days, I think we are getting as much therapy as our son does, which is great. You see, I am also a healthcare practitioner, and Rosie's dedication and expertise has led me to explore several other modalities and treatment methodologies to study and get certified in not only to help my son but to help others in our area that may be struggling with similar issues. Rosie and her team have not only helped my son, but they have helped us as parents and have mentored me professionally. For this, I am forever thankful for Rosie, Sam, Joey, Trina, and the entire team at Focus on Kids Too. suggestions to try to see what works for us. I never would have imagined my son skateboarding! And it's all because of you and your friendly, helpful staff at Focus On Kids Too! You're simply the best! 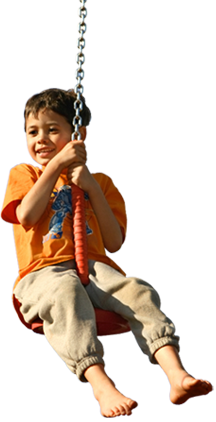 Focus On Kids Too, Inc. takes an integrated approach to children. The testing is in-depth and the clinicians get to know your child. For a parent who is undecided about coming to Focus On Kids Too, give it a chance, it has dramatically enhanced our son’s life! The testing is in-depth and Rosie explains every detail with you. For the first time in our son’s life, his sensory processing disorder makes sense to us. It is an enjoyable time that focuses completely on him. He loves coming and being the center of attention. Focus On Kids Too makes OT fun! We started the integrated Listening Program. I freaked out over the price of it and should not have… there are no guarantees, BUT for the first time in 7 years, our son has been able to articulate that he is overheated, going to get sick, and, can say what he’s feeling. I am no longer a detective trying to figure out what is going on with him :). Our son has a more productive school life, home life, and social life after coming to Focus On Kids Too. We are very grateful! I recently found out that I have been living with a sensory processing disorder. Growing up was really hard. I used to have tantrums for a lot of reasons. I was not able to sleep in my bed because the sensation of my tangled bed sheets would upset me and I would have horrible tantrums. There were certain foods that I could not eat due to the texture; such as tomatoes, oranges and onions. There were clothes that I could not wear; anything with buttons and anything with tight collars. I was also really scared of heights. As a young mother living in a basement apartment, I could not even climb on a chair to change a light bulb. I was terrified of bugs, too! I would have horrible tantrums when I would see a spider or any bug which made cleaning my basement apartment impossible. Growing up I felt very misunderstood. People thought I was crazy. My parents didn’t understand me. They were always punishing me. Now I realize that I am not crazy. Since working with Rosie in OT I am now able to brush my teeth with mint toothpaste which was impossible for me to do when I was younger; I really hated mint. As a result of my experience which involved climbing and working on swings at Focus On Kids, Too, I am now able to climb. I can now change a light bulb by climbing on a chair. When I feel a fit of temper coming on (sensory overload), I am now able to apply a technique I call the deep touch brushing method which calms me down. I have been able to clean my apartment and get rid of all of the bugs that I would not have been able to do before. I have only been working with Rosie for about 4 months and have seen a lot of progress. When we were with another clinic, they told us we were close being discharged, but we knew our daughter, who suffers from sensory processing disorder (SPD), anxiety, and obsessive compulsive disorder (OCD), wasn’t ready. After receiving our initial Evaluation at Focus On Kids Too, Inc., Rosie helped us understand our daughter better and gave us home programs. While at the other clinic, they didn’t always understand what we were going through with our daughter. Rosie understood her behaviors and why they were happening; she had good ideas and we are still brainstorming. The therapists are kind and you can see how they truly enjoy working with kids. Our daughter likes coming to the clinic because she has fun playing with all of the therapists. The therapists are always helpful with ideas, and if they don’t know they will brainstorm to get new suggestions. They gave use good ideas for home and with different equipment. We appreciate the energy, personalities and interaction with our daughter. Therapy has helped her with SPD. It’s still a work in progress. Our 7-year-old son, Noah, has thrived under Focus on Kids' extraordinary care and compassionate approach these past few years. As parents who struggle with the implications of raising a child with a sensory integration disorder we are forever grateful to have Rosie and her team in our lives. We strongly believe other families in a similar situation will benefit greatly from the Focus on Kids skilled and considerate therapeutic treatment plan. Noah loves going to OT EACH week, which is a testimonial in itself! Rosie and Joey taught Noah so many wonderful life skills including how to ride a two-wheel bike! We love you and appreciate all that you have done for Noah and our family. ~ Heather & Marc F.
My experience with Focus on Kids too has been truly fantastic; I've seen an impresive transformation in my child's behavior, working with Rosie has allowed her to gain self confidence and control over her emotions. She is a happier child because of that. Besides Rosie is fun, she makes every session feel like a party. I couldn't be more grateful. My son Nicholas has been going to Focus on Kids for nearly 5 years. I have seen tremendous growth and change in him over this period of time. When Wednesdays roll around he asks, "Rosie today?" He can't wait for OT. Rosie not only has helped Nicholas in the clinic, but more importantly her treatment has spilled over into school. Rosie has attended Nick's IEP meetings and has aided his team in implementing sensory breaks into his daily schedule. I am grateful to Rosie for giving us a better understanding on how to make Nick successful in life. Our daughter Weslee met Rosie when she was four years old. My husband and I constantly tell each other how lucky we are to have found her. She has made such an impact in Weslee's life by helping her to function with grace and confidence while having sensory processing disorder. Rosie and the whole team at Focus on Kids Too are so invested in Weslee's treatment and that dedication is what makes Rosie and her team so special. ~ Lizzy and Michael I. Finding the right OT specialist is very important for your child, and if you are with focus on kids too, you are in good hands. Rosie is extremely good. She is passionate about her work and that passion can clearly be seen in the sessions. She is very cooperative and will do her best to accommodate your schedule. She makes children feel so comfortable that they want to come back. Moreover, she has huge experience, knows the in’s and out of therapy, is very energetic and very much involved. I am very glad we found Rosie for our son. One of the best of Rosie’s many great qualities is her energy. When my son goes to Rosie, he gets excited even if he’s tired. She makes up pretend stories, sings songs and includes the children in developing challenges for them to reach for. She makes working on muscle strengthening, motor planning and handwriting fun for kids. The children she treats make great strides without even realizing they are receiving occupational therapy. She has definitely made a big difference in my son’s development. Rose has provided invaluable support and resources for our son Lee since he was 3 years old. Over the years, Rosie's energy and commitment to her field has ultimately resulted in our son exhibiting an observable level of growth in skills and confidence. Rose is a true professional; optimistic, always innovative, evolving and a leader in her field. In addition, Joey has also provided Lee with dedicated and personalized services. We want to thank Focus on Kids Too for all they do to support children and families. Rosie and the services of her clinic made a life changing impact for my son and our whole family. She helped us understand the issues we faced but more importantly how to address our son's needs physically and emotionally. Her knowledge of proven techniques was superb as was her openness to cutting edge programs, treatments, and services for kids of all needs. We will always be thankful for the support, kindness, and opportunity Rosie gave our family.